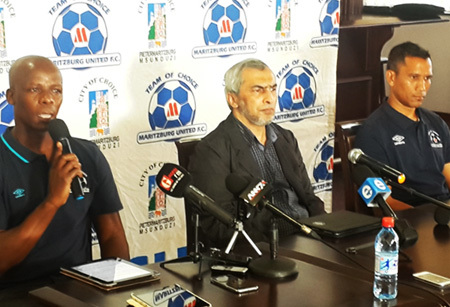 Maritzburg United FC Chairman, Farook Kadodia on Thursday unveiled former assistant coach Mandla Ncikazi as the new Head Coach of the Team of Choice. He will be assisted by the club's former Captain and marksman Fadlu Davids. The appointment of Ncikazi comes after the sudden departure of Steve Komphela who recently signed for Kaizer Chiefs following the departure of Stuart Baxter. The Team of Choice had done very well in the previous season , achieving the Top eight status for the first time. The Chairman said that the foundation had been laid which characterised the ambition and the vision of the club. "It is therefore very important that we build on that foundation and be consistent with our approach, style of play and attitude," said Kadodia. He continued and said, "The technical team is capable of delivering the desirable outcomes. We have decided that we are are not going to fix what is not broken." When announcing Davids to position of assistant coach he said "We have appointed a coach who is familiar with the environment and understands the culture of the club." The Team of Choice leave for camp from the 5th of July for two weeks, and will be assessing some new players in that time. 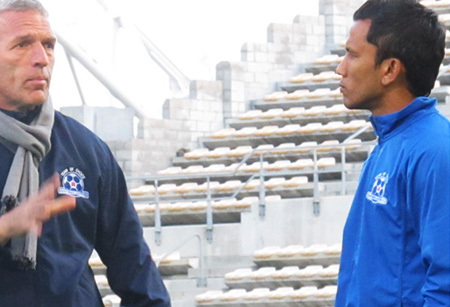 Davids, a former Maritzburg striker, previously worked as assistant coach alongisde former Team of Choice head coach Ernst Middendorp. 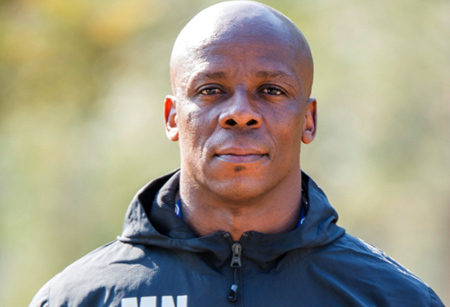 Ncikazi worked alongside last season’s head coach Steve Komphela, the two of them seeing the Team of Choice through to a first ever top eight finish.